A dazzling, prize-winning graphic biography of one of the world's most revered writers. 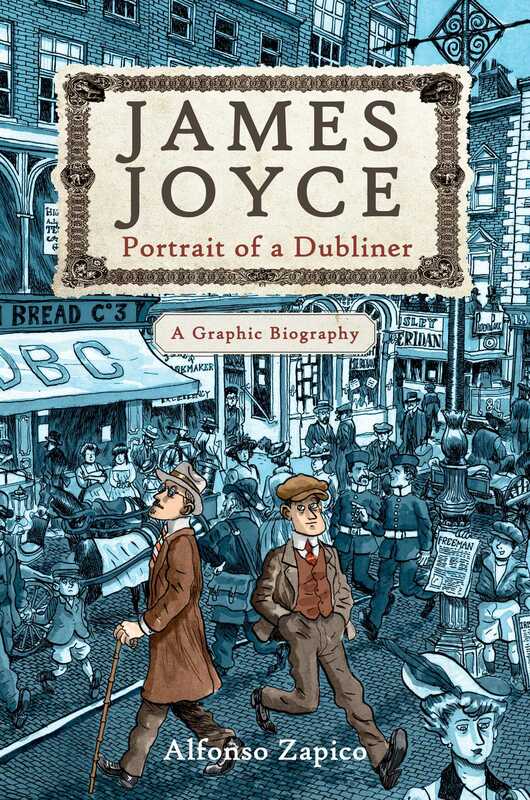 Winner of Spain's National Comic Prize and published to acclaim in Ireland, here is an extraordinary graphic biography of James Joyce that offers a fresh take on his tumultuous life. With evocative anecdotes and hundreds of ink-wash drawings, Alfonso Zapico invites the reader to share Joyce's journey, from his earliest days in Dublin to his life with his great love, Nora Barnacle, and their children, and his struggles and triumphs as an artist. Joyce experienced poverty, rejection, censorship, charges of blasphemy and obscenity, war, and crippling ill-health. A rebel and nonconformist in Dublin and a harsh critic of Irish society, he left Ireland in self-imposed exile with Nora, moving to Paris, Pola, Trieste, Rome, London, and finally Zurich. He overcame monumental challenges in creating and publishing Dubliners, Portrait of an Artist as a Young Man, Ulysses, and Finnegan's Wake. Along the way, he encountered a colorful cast of characters, from the Irish nationalists Charles Parnell and Michael Collins to literary greats Yeats, Proust, Hemingway, and Beckett, and the likes of Carl Jung and Vladimir Lenin. Alfonso Zapico, born in Blimea in Asturias, Spain, is a storyteller and freelance illustrator who has published several graphic works, including the novel Café Budapest, which won the Josep Toutain Prize at the 2010 Barcelona International Comic Fair. He spent months in Dublin and other of Joyce's home cities researching James Joyce: Portrait of a Dubliner, which won Spain's National Comic Prize in 2012. He lives in Angoulême, France.